When Heather Taft's daughter was born prematurely in 2004, she experienced firsthand the family-centered care provided by the Neonatal Intensive Care Unit (NICU) at UMass Memorial Medical Center. 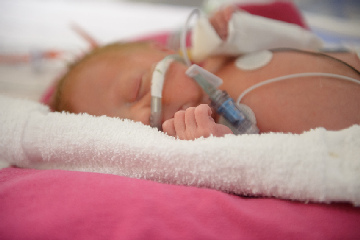 "Everybody in the NICU was amazing," Heather said. "The doctors and nurses took my calls in the middle of the night to tell me how my baby was doing. They made me feel like everything was going to be OK. I thought, 'I want to help take care of people. I need to do something like this!'" Heather followed her calling and went to school for medical assisting to become a registered medical assistant (RMA). After working for three years in a private OB-GYN practice, in 2009 she joined the OB-GYN department at UMass Memorial Medical Group at Milford. "We're a busy department, and I personally help care for 25 to 40 patients a day," said Heather, who supports three physicians and one nurse practitioner. RMAs bring patients to their exam rooms, take their vital signs, review their medications and allergies, and assist during exams. For Heather, the job is personal. She tries to put patients at ease from the first hello. "We have women coming in for pelvic and breast exams, OB-GYN issues, and prenatal patients," Heather said. "Sometimes they're nervous. I talk to them and try to help them relax and get comfortable." This can mean holding a patient's hand during a biopsy procedure, or just being there as a friendly, reassuring presence. Heather and the other RMAs support each other. "The six of us work really well together," she said. "We support and cover each other, clinically and administratively. We work together to make Milford a successful practice." Heather is now happily married, her daughter is now 12 and she has a son, age 9. She hopes to attend nursing school to become a Registered Nurse. With her positive attitude and commitment to caregiving, it seems likely she'll achieve her goal. Says Heather, "Patient care is number one."